Minta Medical have opened their new state of the art purpose built premises to ensure that they continue to lead the way in the design and manufacture of Pain Management Electrodes. 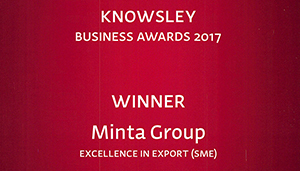 Minta has worked in partnership with the operations team from the Manufacturing Technology Centre (MTC) to Improve productivity and Manufacturing processes. Minta will continue to identify improvement opportunities where possible using a structured approach.